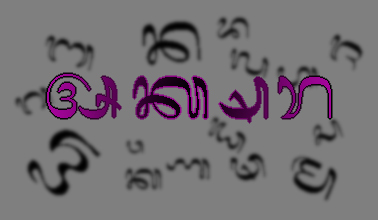 Balinese script is derived from ancient Brahmic script. Sadly, this beautiful script is no longer used in everyday Bali. However, since the script still plays a large role in Balinese culture, we wanted to include it in this program. The basic unit of the alphabet are syllables (not individual letters!) and additional vowels which included before, after, below or above syllables. The syllables have a regular form and an appended form which is written underneath the preceding syllable in order to designate a glottal stop. Traditionally, the script was written on lontar (palm) leaves which were difficult to prepare, so priests wrote words without spaces in order to conserve space. Although beautiful, Balinese script is quite difficult to learn. 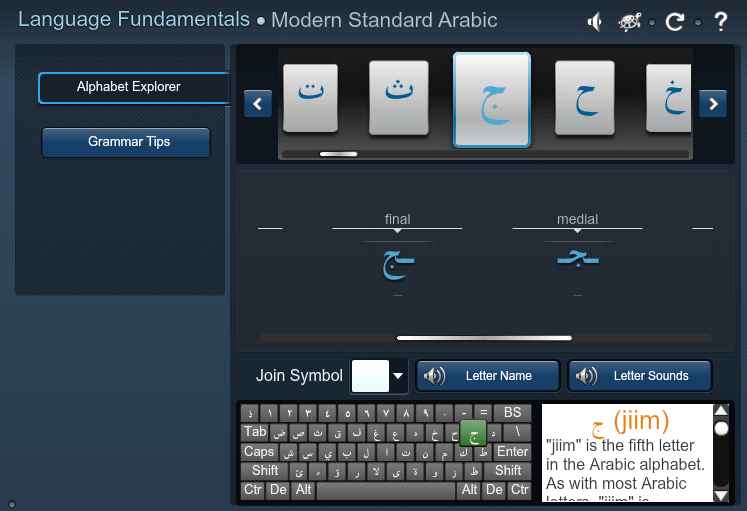 We will be primarily using the alphabet facility of Transparent Language (shown below with arabic script) which includes a number of interactive exercises. We’re working with several Balinese script specialists and unicode experts to find the best way to introduce the characters, several of which change form when they connect with others.